The Woolly Brew: new Regia 6ply sock wool in the shop! 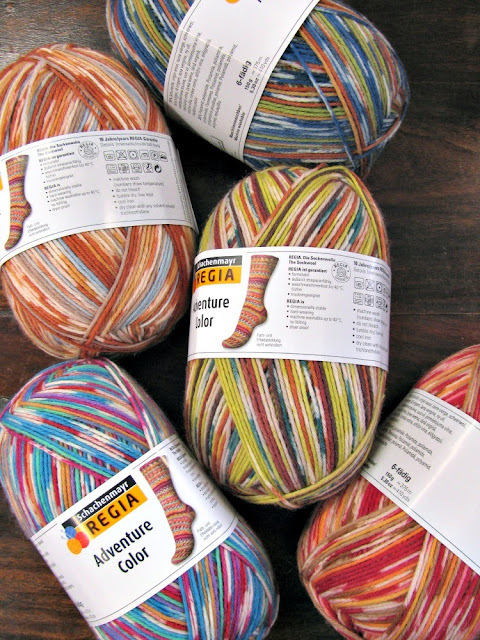 new Regia 6ply sock wool in the shop! Thicker than 4ply, you knit this sock wool on 3 - 4 mm needles. It comes in whopping 150g balls. 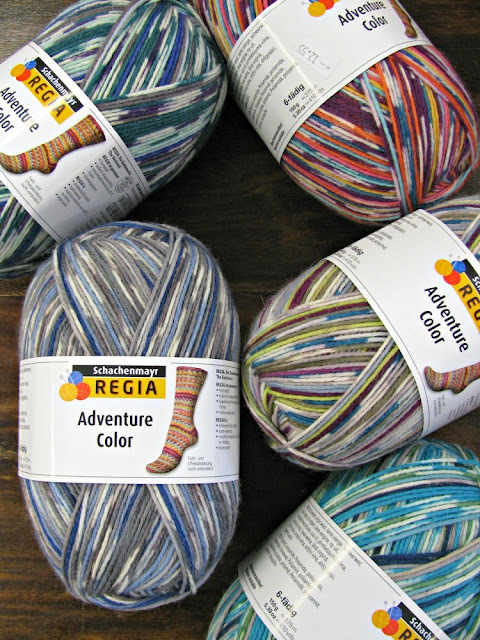 Adventure Color is a fair isle self patterning yarn. According to the pattern leaflet (free with a yarn purchase!) you can get a pair of child's socks with 50g, a ladies pair with 100g and a gents pair with 150g. It would look good as a hat too! This is a limited edition sock yarn, once its gone its gone! There is a lovely big poster in the shop which shows each shade knitted up, and a sample sock too. Our current 6ply pattern leaflet uses a boomerang heel (or round heel) but if you prefer a heel flap we still have copies of the last Regia leaflet too!